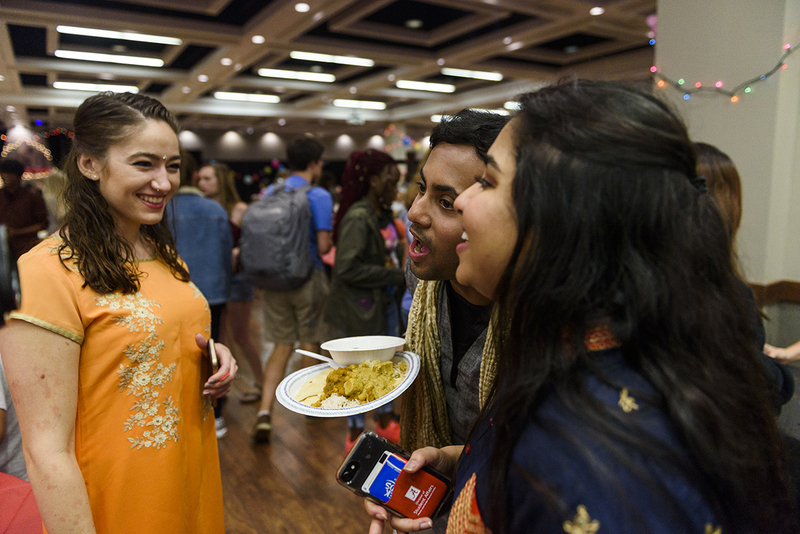 From left: Alanna Patch, Parnab Das (co-president of South Asian Society) and Sahiti Madireddy. 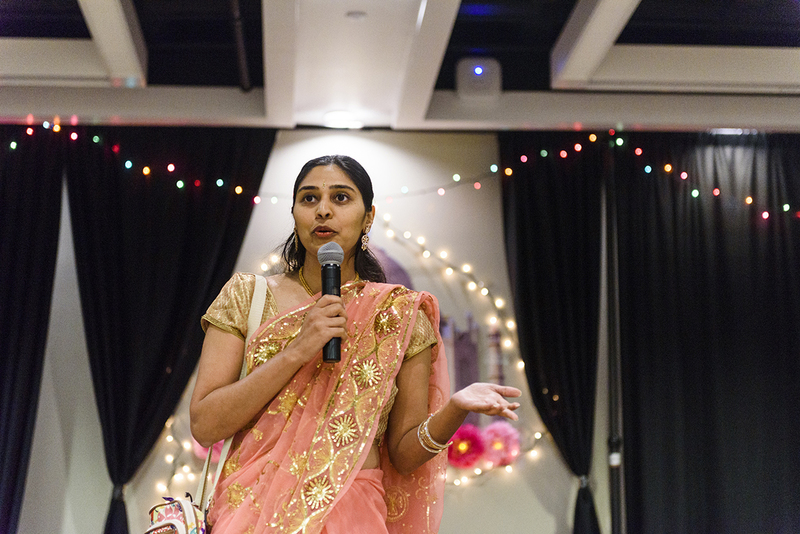 Dr. Avani Shah, the adviser to the South Asian Society, welcomes guests. 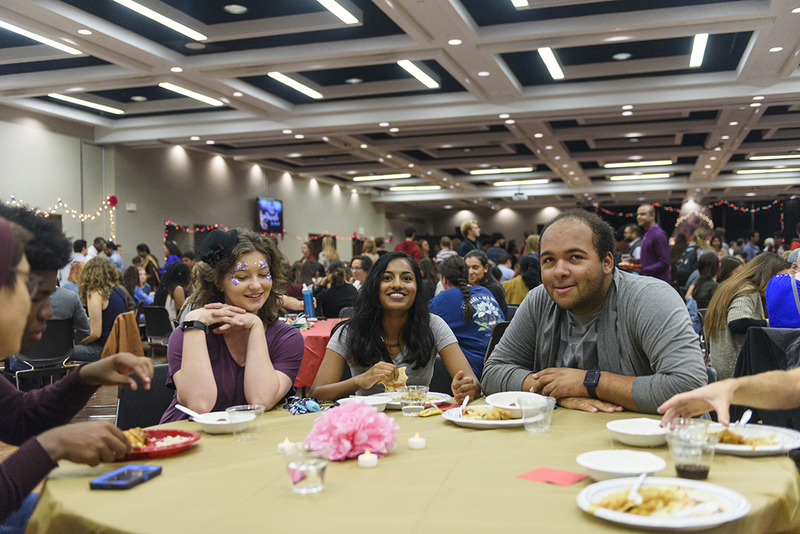 Students enjoy a traditional Indian meal that includes samosas, paneer, naan, chole, rice and, as dessert, gulab jamun. 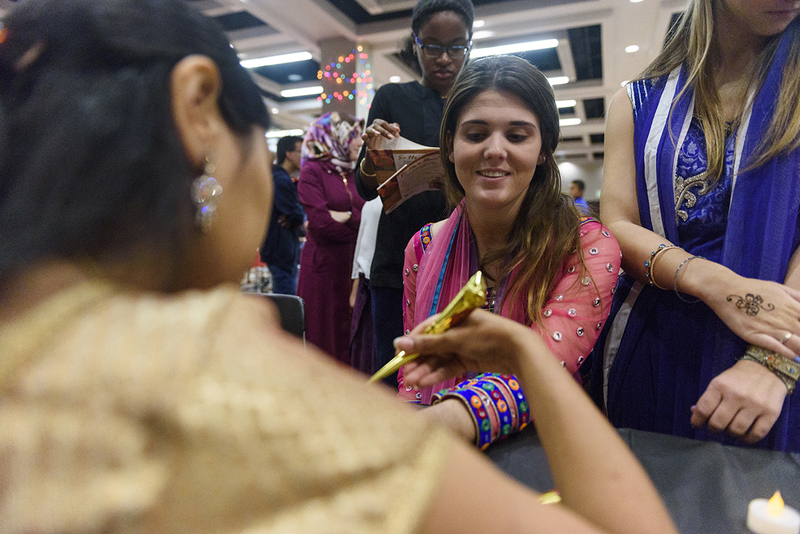 Dr. Avani Shah applies henna. 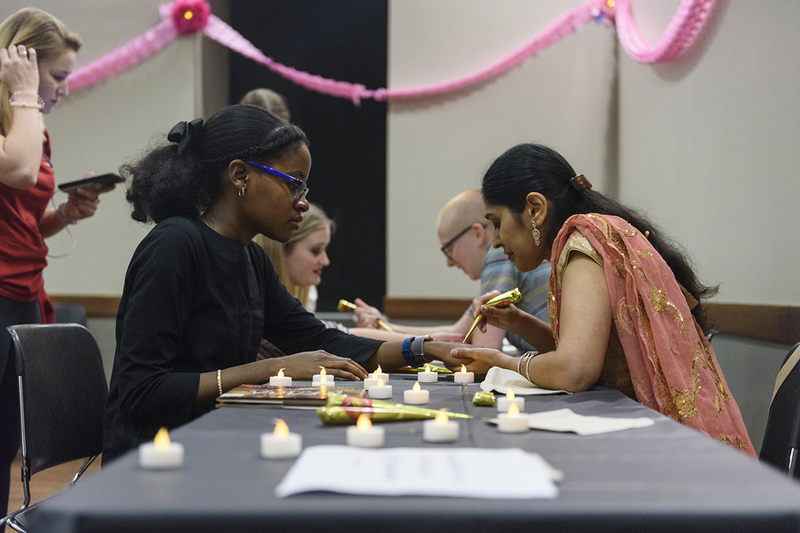 Diwali is the Indian festival of light. 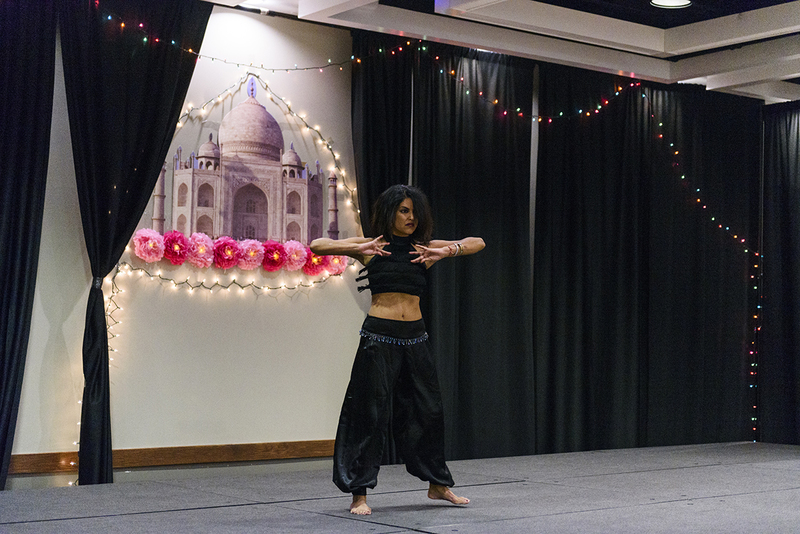 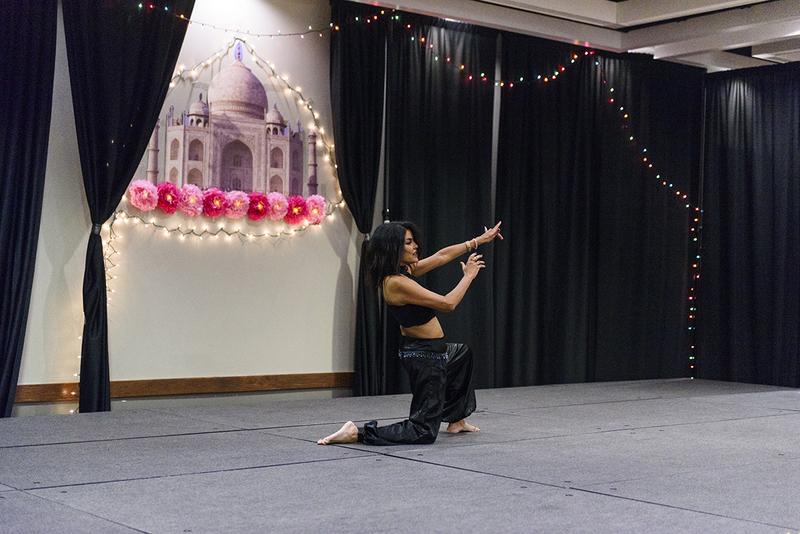 The October event was cohosted by UA's International Students Association, the UA South Asian Society and UA Honors College Assembly. 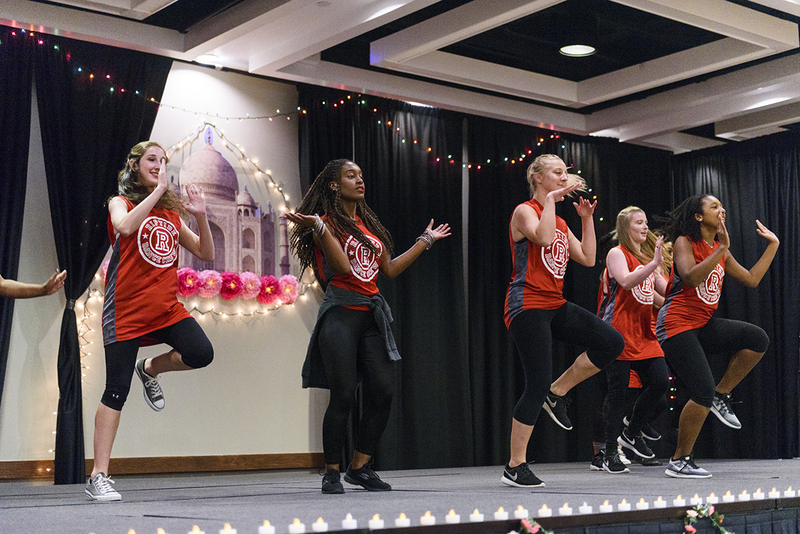 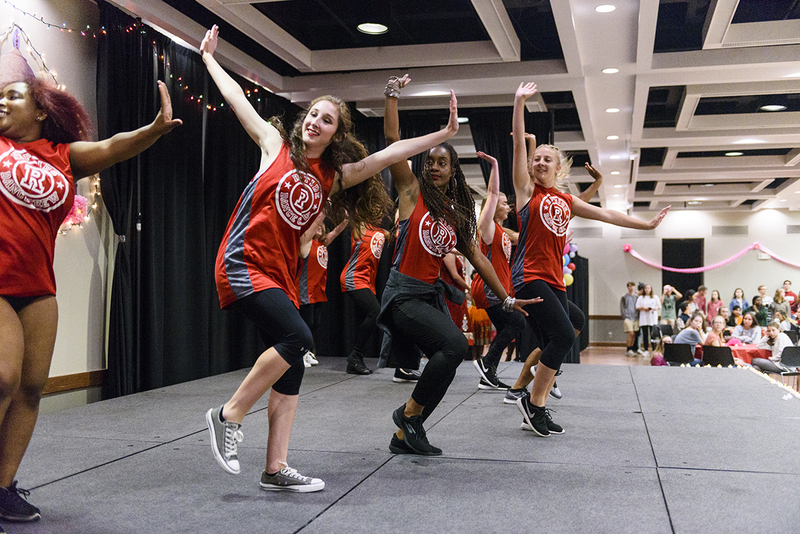 Through this event, the UA community found a transformative and powerful way to experience a culture.